Like a lot of readers, we love so many of the original ladies’ entertaining recipes. For example, no matter how cooking trends change, if there’s a dish of Jelly Meatballs on a buffet table, we’re going to grab a toothpick and eat at least a couple of them. Simple and convenient to make, the jelly ball may just be the perfect holiday appetizer. When we put together our Family Slow Cooker book last year, we wanted to include some of these original recipes, cooked up in a slow cooker for even more convenience. 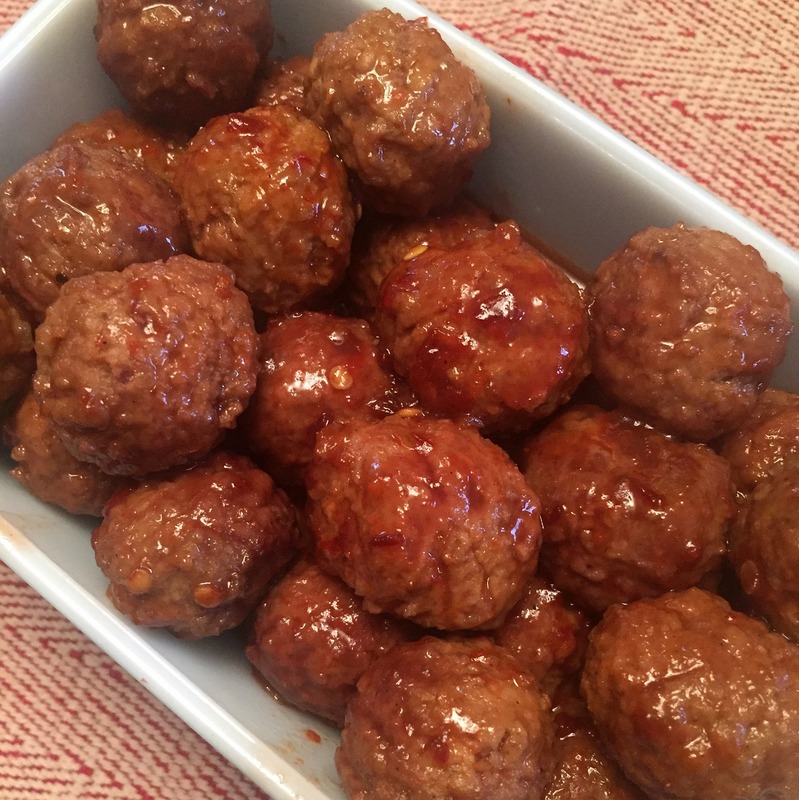 The original Jelly Balls recipe, which appeared in the Winners Book (and can still be found in the Complete Best of Bridge Cookbooks Volume 2) were cooked in a pot and then served in a chafing dish, but this version is done completely in a slow cooker. We also use frozen fully cooked meatballs to make things even easier. If you want to add some heat, throw in a couple of tablespoons of sambal oelek with the jelly. Combine all ingredients in a 4- to 6-quart slow cooker. Cover and cook on low for 3 to 4 hours, stirring once or twice, until heated through and bubbling around the edges. Serve warm, with toothpicks and napkins on hand.